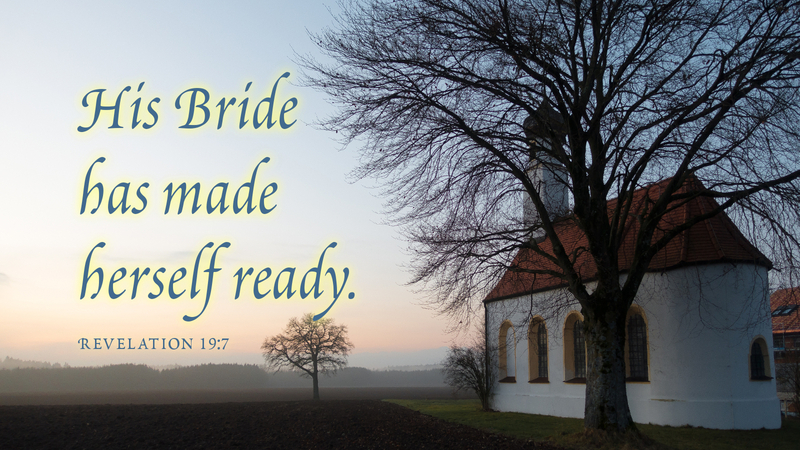 How does a bride make herself ready for her groom? She renounces all that she has, leaves her home, and becomes one with the one she loves with her entire being. It seems as though she hates her old life (John 12:25) because she has wholly embraced a new life with her spouse. Just so, unless one hates her life in this world, she cannot apprehend the eternal life of heaven. Any one of us who does not quit the old life and embrace Christ and the cross, cannot be his follower. Destruction is coming upon all who are outside of God, who have not renounced their lives and become one with him through the cross, who will not leave their old lives to follow him in a newness of life. But even now, if you will return to God, loving him with your whole heart and soul and mind, being gracious and abounding in steadfast love, God will take you to himself and love you forever. This is the way of God’s salvation. Hallelujah! Prayer: Thank you, Lord, for your great and steadfast love. Amen.